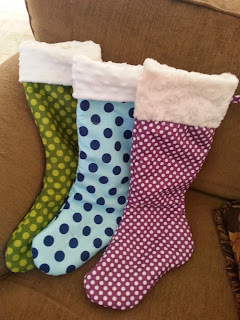 I decided to get crazy and make Christmas stockings. I didn't have a pattern and I didn't want to buy one. So I drew a stocking, the way I wanted it to look, added an inch and half for seams, and voila, I had a pattern. I was a little nervous about how it would turn out (since I had no idea what I was doing). Overall, I think they look pretty dang cute! You can make your own too by following these simple steps. 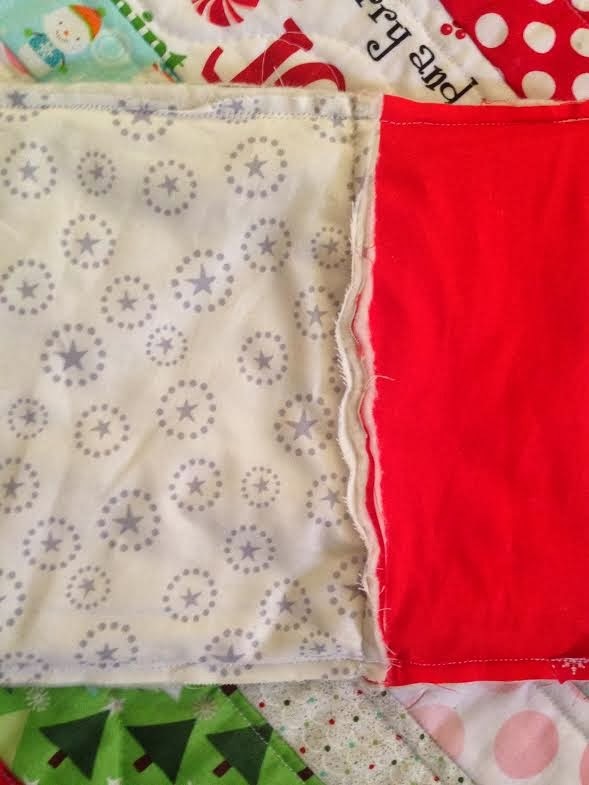 Step 3: Iron your fabric then fold your fabric in half with wrong sides together and cut out the lining. Step 6: Get frustrated because you ran out of all the leftover batting you thought you had. Don't let it put a damper on your Christmas spirit! 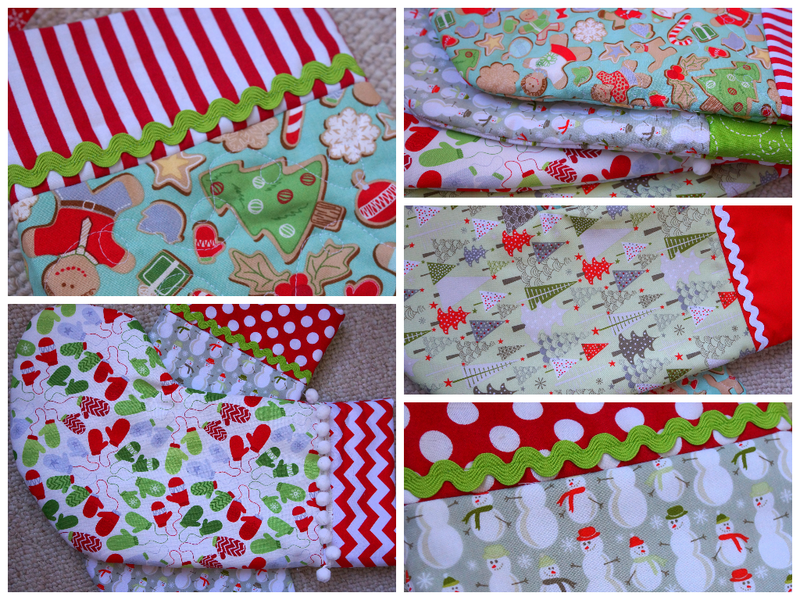 Just use the leftover polyester batting from the last stocking... I could have gone to the store, but I really did'n't want to! Now one stocking is fluffier than the others (they had cotton batting) but you can't really tell. See it's all about improvising over here, they still turned out just peachy! 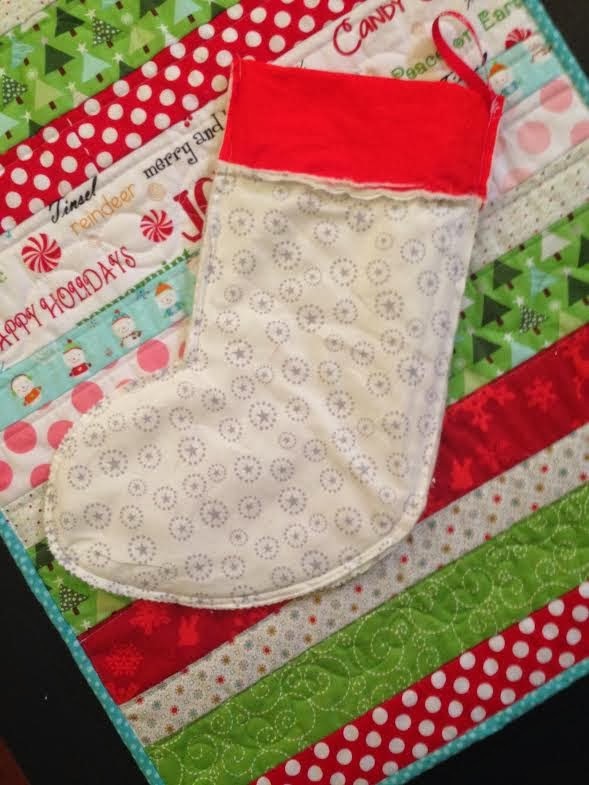 Step 7: Cut out a different fabric for the tops of your stockings (this is optional, you can just make the stocking longer if you don't want to bother with this step). These have been folded over so that I didn't have to sew the tops or cut out more pieces. Mine were 8 inches by 3 1/2 inches and I only cut out 4 pieces. 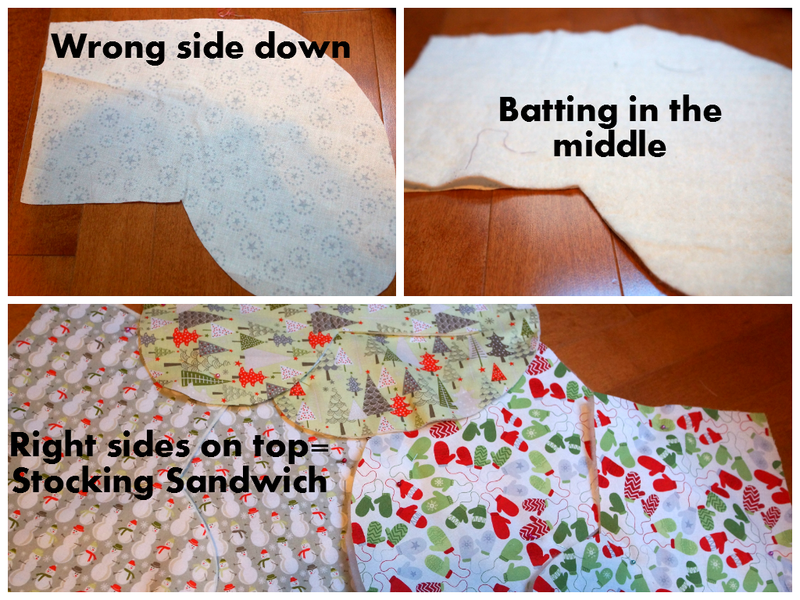 Wrong side of your lining fabric down first, then batting, then your outside fabric right side up. Step 8: You have two stocking sandwiches that need to be basted together so fabric doesn't slip. Using 1/4" seams stitch around both sets of stockings. Step 9: Add your cuff fabric, to the right side of basted stocking with right sides together and raw edge of cuff even with top of stocking, sew across top using a 1/4" seem. You will need to do this with both sides. This is what the lining side of your stocking should look like. 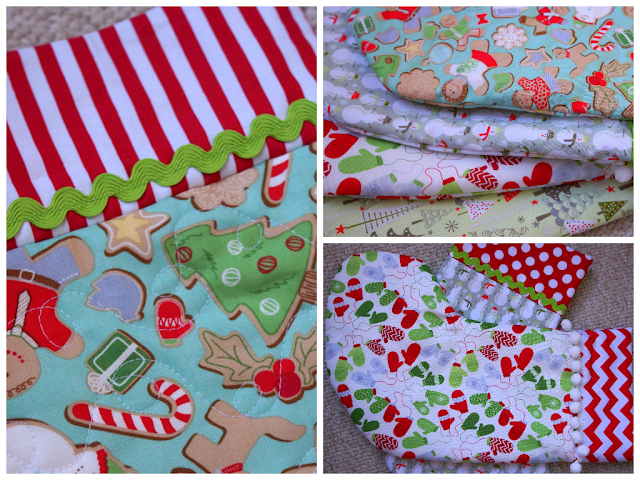 Seams will be inside the stocking. Step 10: Forget to take pictures of step 10. Add any rick rack, or ribbon to your stocking before sewing them together. You may also quilt them if you feel so inclined. 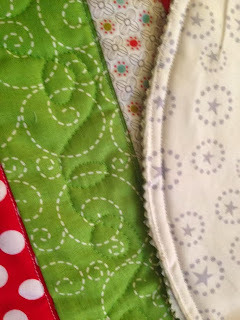 I quilted one of mine, then realized that it was too much work and you can't really see the quilting! 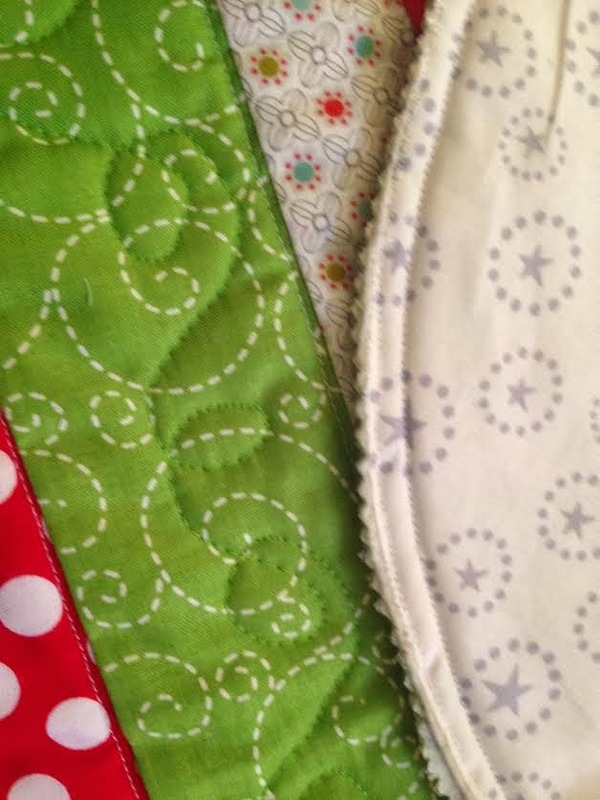 I decided it wasn't worth the time to quilt the others, but if you have the time quilt away! Step 11: Now you will put the stockings right sides together, making sure to line up your seams at the top fabric, and the corner. 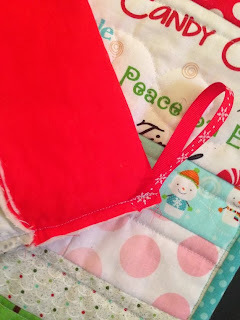 Pin well, pin your ribbon loop for easy hanging, and sew 1/2 inch seam around the whole stocking EXCEPT THE TOP otherwise you won't be able to add an orange on Christmas Eve! Add your ribbon when you sew your stocking together, or you can sew it on by hand afterwards. After these were sewn I used the scissors to clip around the curves (so the fabric stretched slightly, don't cut your seam though!) and I used my pinking shears to trim the fabric so I wouldn't get lots of strings. 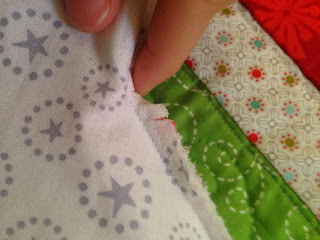 Little cuts to help stretch the fabric when it curves. I don't know what these things are called, puff balls, or something, but they were a pain to sew on... You need to be careful that you aren't going to sew over a fluffy ball..
Hopefully my instructions aren't too difficult to follow! Let me know if you have any feedback or suggestions. I'm still learning how to make an easy to understand tutorial! These are a similar version, but the cuffs are made out of minky.